From the Associated Press — An annual ice-breaking effort is starting on waterways in and around northern Michigan and the Upper Peninsula. The U.S. Coast Guard Sector Sault Ste. Marie says Operation Taconite commenced Monday in response to expanded ice growth in commercial ports along western Lake Superior and the St. Marys River in the eastern Upper Peninsula. Operation Taconite encompasses Lake Superior, the St. Marys River, the Straits of Mackinac, Georgian Bay, Green Bay, northern Lake Huron, and Lake Michigan. 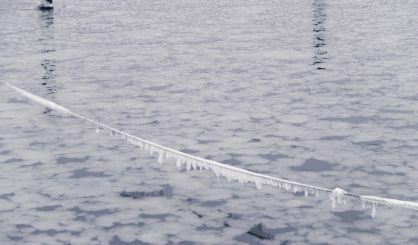 The Coast Guard says that various commercial waterways may close in the coming weeks after due consideration is given to the protection of the marine environment and the safety of island residents who use naturally formed ice bridges to get to and from the mainland.